Legislation requiring “best practices” in their use is needed. 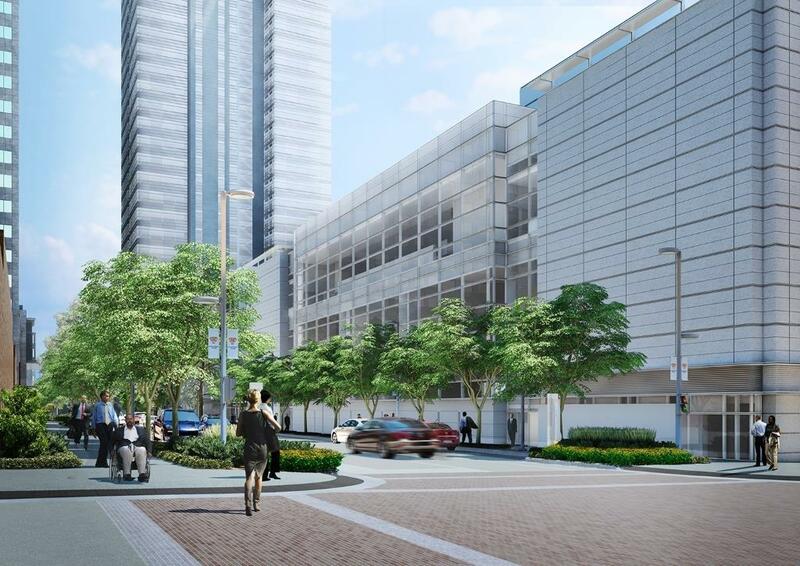 The Northwestern Mutual Tower and Commons project is partially funded with a developer financed TIF. In the world of government, there are many acronyms. Urban Milwaukee frequently covers a government acronym called TIF or tax incremental financing. I am working on gaining support for legislation that would institute across-the-board best practices for TIF districts. As someone with private sector experience in the field of real estate development, I understand the benefit of TIF districts and agree with the original intent. The original intent of a TIF district was to benefit local taxpayers. First, understanding the history, intent, and changes to TIF is important. TIF was designed as an economic development tool that generally works in the following manner: first, a specific area is designated as a TIF district. Then, the municipality makes infrastructure enhancements and/or provides developer incentives with the express purpose of financially subsidizing new development in the district. Many times the subsidy is funded through borrowing money. The increased property tax revenues generated in the district are used to pay for the financial subsidy. Therefore, none of the increased property tax revenues flow in the normal manner to the municipality, county, K-12 school district or technical college during the life of district, usually 20 to 27 years. Initially, TIF districts were used as a mechanism to redevelop blighted or environmentally tainted areas. Many of the properties within TIF districts had a negative value prior to the redevelopment, so they generated little, if any, property tax revenue. To assist these properties develop and generate property tax revenue, municipalities borrowed money to generate funds to eliminate the blight or clean the property, thus making the property viable for redevelopment. Usage of TIF required passing the “but for” test—i.e. “but for” the TIF, the development of the property would not be possible. TIF allows these properties to return to the tax rolls, oftentimes enhanced economic development and, most importantly, benefit all taxpayers affected by the district. Fast forward to the current environment, it is often difficult to find new real estate development that does not include a TIF subsidy. An unneeded public subsidy is crony capitalism with the government picking winners and losers. The free market must determine the ultimate viability of a real estate development. Encouraged by the beneficiaries of TIF, such as property owners, developers, eager municipal financial consultants and accommodating bond houses, municipalities are subsidizing private development that in many cases is unnecessarily lining the pockets of the aforementioned stakeholders. All this comes at the expense of the taxpayers the policy is intended to benefit. The disturbing trend is the proliferation of TIF beyond the original “but for” concept. I am not in opposition to TIF—it is a valuable economic development tool. My concern is the overuse and abuse of the tool in today’s environment has given TIF a black eye. As last session’s chair of the State and Local Finance Committee in the Wisconsin State Assembly, I saw numerous TIF districts whose failure had risen to the level of needing special dispensation from the state. Every time I encountered one, I wondered what the decision makers responsible for the messes were thinking. Today’s levy limit environment further complicates this troubling trend. To control Wisconsin’s high property taxes, levy limits have been imposed on local municipalities. Virtually the only way to increase local tax revenues is through new construction. Unfortunately and frequently, new development is incentivized to occur in TIF districts where all revenues are diverted from local government coffers. The problem is self-evident: there are no increases in revenues to offset the inevitable fiscal demands of the new development on local governments affected by the TIF districts. Unfortunately, manipulation often occurs that forestalls or even destroys that benefit, even in successful TIF districts. Instead of quickly paying off the underlying debt of a TIF district, too often TIF revenues are directed to supporting additional TIF expenditures or subsidizing another TIF in the community that is failing. I have unveiled legislation to expand TIF “best practices.” My bill requires cities and villages creating any new TIF district to include in the initial project plan one of three “best practices.” This is the same requirement towns have in current law. The first best practice is to have a majority of the district be developer financed, with the city reimbursing the developer with the new property tax revenues. An example of this arrangement is the Northwestern Mutual TIF downtown. The second best practice is to have the initial project plan pay all debt and expenses with two years of the district life still remaining. This will build a cushion to protect taxpayers of economic downturns or unforeseen problems. The last acceptable best practice is to prevent expending funds in the second half of the district’s life unless there is unanimous consent of all members of the joint review board. This makes sure TIF districts close in a reasonable timeline allowing the increased tax revenue to fund local services. Defenders of taxpayers must curtail unnecessary TIF districts, enhance the viability of appropriate TIF districts and ensure TIF districts benefit all taxpayers, not just special interests. Don’t disagree with your arguments but how is this really materially different from the incredible subsidy and corporate cronyism given to the Milwaukee Bucks? Why this Republican fixation with micromanaging Milwaukee and Madison? Given the author’s status and official position, I would like to see as part of his bio his official status. If elected, the district he serves (or served). TIFs are often corporate welfare, as noted. How much in TIFs is going to MKE’s most blighted neighborhoods? The Bucks subsidies would be partially funded with at least $20 milllion in TIF money. It seems there’s at least $5M more from an earlier TIF, as this article notes is common. Plus, for some unexplained reason, the Bucks are “loaning” the city $8M in exchange for the city GIVING them a garage it built for $30M in 1988, plus the Syndey Hih parcel it paid $1M for three years ago. Why is the city not getting paid for those properties, like other sellers? Or at least credit the city for its “contribution to the arena cause” as was first announced last spring? Bucks LLCs are paying up to 5x assessed or appraised value for their buys of 3rd St. and nearby. It’s all way too confusing, which helps keep citizens from even trying to sort it out. Also, Bucks TIFs will ostensibly create “public plazas” in and around the entertainment mall. The state’s bill said all arena-adjacent plazas will be used to generate revenue exclusively for the Bucks. It will be as public as the aprons and courtyards of any commercial establishment. But if you want to visit a real park, there’s always Pere Marquette a block away. The concerts are free there and beer sales help support the public parks. The idea that the Bucks want to create a “real neighborhood” is a joke. What, with Jumbotrons and blaring late-night live music? @”M” TIF is used throughout the city (when possible as there needs to be something to generate new increment to use it) and is without a doubt a benefit to the city of Milwaukee (something like a 7 to 1 return if I remember correctly). Right now there are active TIFs in Clarke Square, Granville Station, Menomonee Valley, Bronzeville, 20th and Walnut, Metcalfe Park, just to name a few from around the city. Should there be some reforms? Yes. Generally, it is smaller municipalities that overuse and abuse TIF, and interestingly enough not to their own benefit. Those who believe in “Free-Market” ideology should never support TIFs, WEDC loans, tax abatement for businesses nor any freebies for businesses. Refer to Times Mag recent issues on Republican Libertaraians Charles and David Koch…who want businesses to get no government subsidies ever. To Bill Sell, we added a better ID on the author, good point. To Nicholas and Observer, the TIF law has always regulated the entire state and any changes would not simply affect Milwaukee or Madison. @Robert Miranda. We met a few years back when the current Transit Services Advisory Committee was formed. One of our earliest meetings was at your office. Thank you for mentioning your point about the $40 million, but that is not how I understand a TIF works. Can you provide me with the LRB memos you mention in your report? That will probably assist me to better understand the issue you are raising.